From Drabulous to Fabulous: HAPPY HOWL - O - WEEEEN! HAPPY HOWL - O - WEEEEN! Happy Howl - O -Ween! If Halloween snuck up on you, as it did me, here's some fun last minute DIY projects to scare up. Have a fun and safe day if you're into all the spookiness! We will be walking down the street tonight to a neighbor that turns their house into a 1920's scary movie complete with holograms, narration and ghosts. It's amazing every year, and this year I plan to video it. How easy is this if you've got some meat eating goblin's to feed! I love this ideas, it's so easy, bandages around mason jars with google eyes glued on make instant Halloween candle holders. And my love affair with mason jars continues. 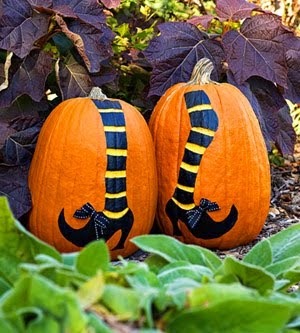 I like painting pumpkins, there's no limit to the ideas, but certainly these witches feet are fabulous. 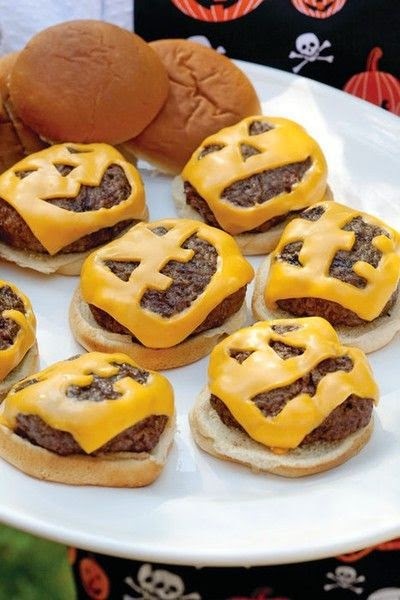 A must for any Halloween party! 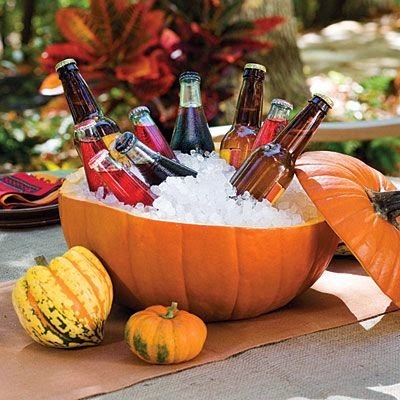 Thinking out of the box with pumpkins! 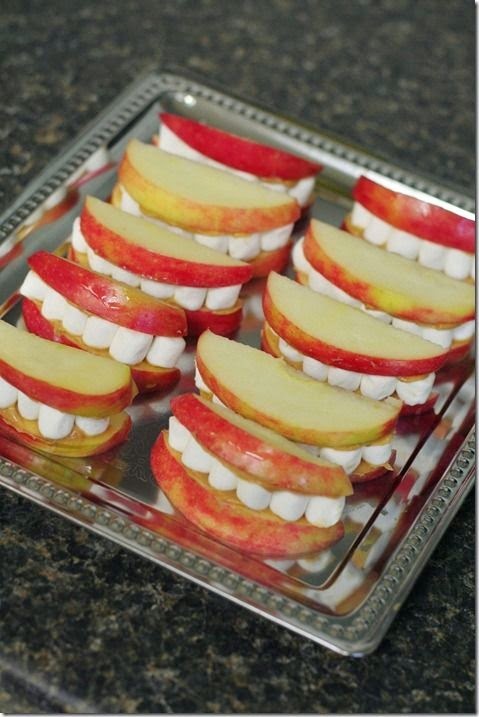 Apple slices and mini marshmallow chompers, always a hit. 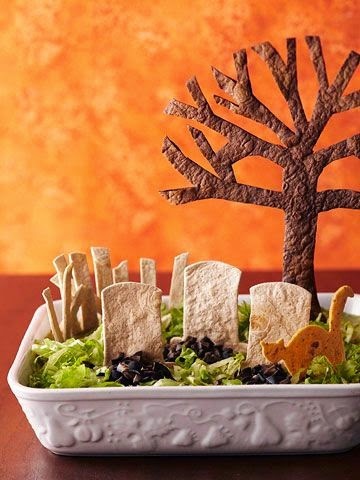 The easiest Halloween dish, a chips and guacamole grave yard. 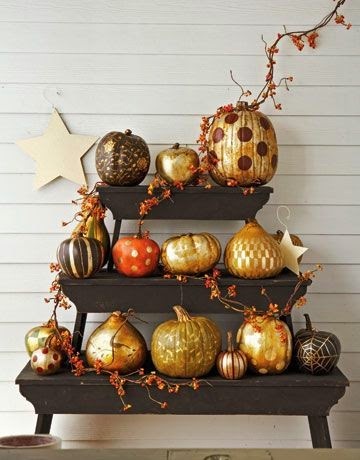 Who says pumpkins have to be orange? 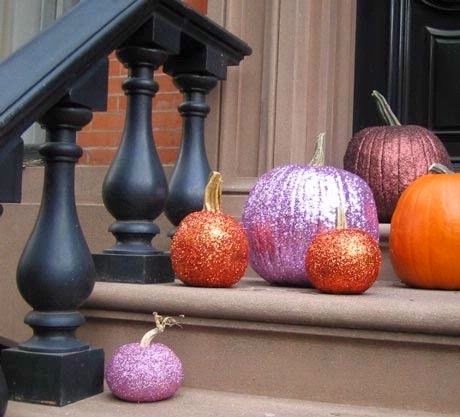 Bring out your inner Halloween sparkle with some glitter paint for some fancy schmancy pumpkins. And Happy Halloween from Daisy who will be a scary Alligator again this year. 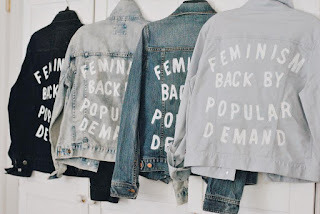 Sources and more fun holiday ideas on my pinterest holidaze board follow along!